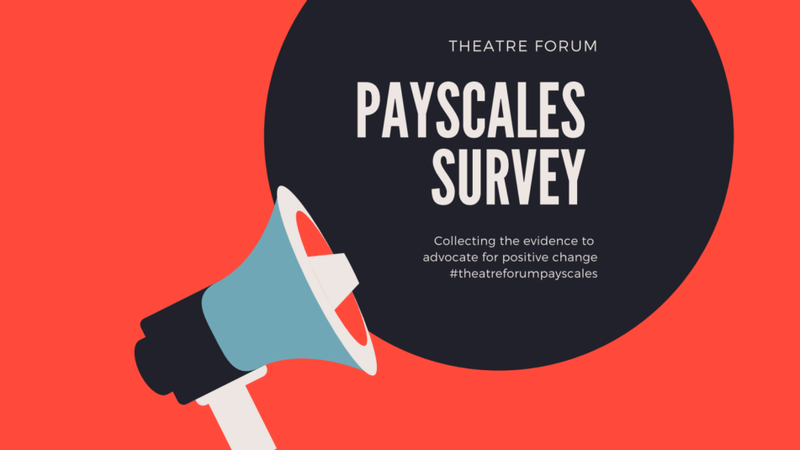 Our last Payscales Survey took place in 2016. At this time of supposed recovery, it’s worth looking closely at pay and conditions in the performing arts. So we’re asking all our members and associates to take part so we get an accurate picture of pay and conditions in our sector. We’ll present you the findings and analysis at our first Members’ Meeting of 2019 which will take place on 23 January (registration will open early in the New Year) and use this information to advocate for positive change. Whenever members meet, we hear artists, freelancers and independents as well as production companies say that insecurity and low rates of pay now define work in the arts. Funding, work and pay are more uncertain than ever. According to the Central Statistic Office (CSO) comparing Q2 2013 and Q2 2018, average weekly earnings in the arts and entertainment sector reduced by 3.5% in those five years, notably the only sector to have suffered any decrease at all. For too many, work in the arts is poorly paid or unpaid. In addition, unions have become less relevant to the growing numbers of independent and freelance artists. Many artists have limited options, making too few or no PRSI and voluntary pension contributions, putting benefits, maternity, parental and sick leave as well as pensions and housing beyond their reach. From this precarious employment position, artists cannot afford to be sick, find it difficult to plan careers, and near impossible to secure or afford a mortgage. Life choices such where to live, work and family formation are fraught with uncertainty, all of which takes a heavy toll. All surveys are completely anonymous. If appropriate, you can complete more than one survey. Deadline for submitting completed surveys is 5pm on Monday, 17 December. You do not have to complete the Report form in one go. Every time you click Next, Survey Monkey saves your answers. As long as you have clicked Next, you can exit the form whenever you like. To continue with the report form at another time, just click on the link again to go back to the survey. However, you must use the same device each time and have cookies enabled so Survey Monkey can see which answers are yours.